This topic contains 24 replies, has 4 voices, and was last updated by James Staddon 1 year ago. 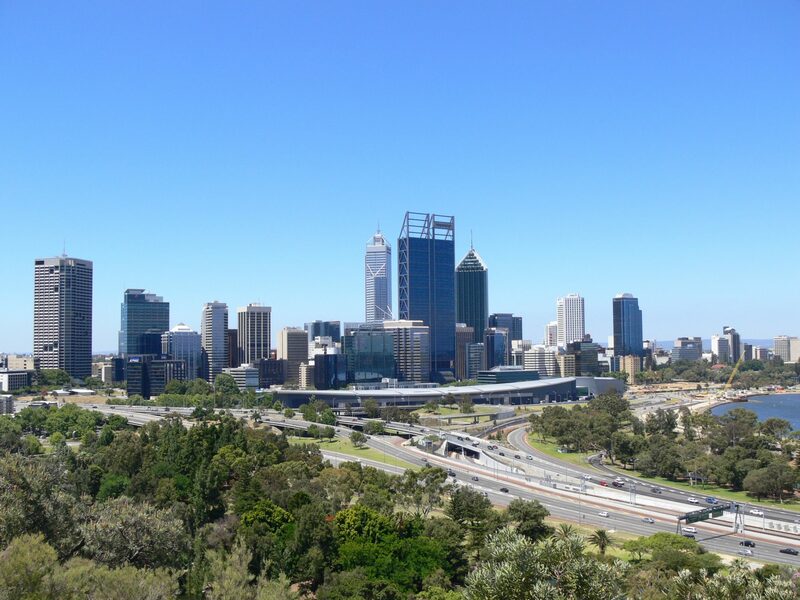 I took this picture of Perth’s cityscape in the summer of 2012 when my family brought some of my mum’s relatives around Perth. However, I did not create a wide depth of field in this picture. Would there have been a difference in the picture had I narrowed the aperture? Unfortunately, the camera I use can only narrow to f/11. To all Quebecois, I’m open to comments in French. However, I did not create a wide depth of field in this picture. Would there have been a difference in the picture had I narrowed the aperture? Unfortunately, the camera I use can only narrow to f/11. I wouldn’t worry too much about it, as far as I can see, you’ve done pretty well at getting an acceptable DOF! Remember that you have a different camera/sensor size than all the “big” guys with DSLRs. A smaller sensor will give you more DOF than a large one, even at lower aperture numbers. Just for fun, I consulted a DOF calculator from Cambridge in Colour. I put in your specs and settings, (Select “Digital Compact with 1/1.8″ sensor” for the “Camera Type”) and it shows that the DOF is infinite for that focal length and aperture value. So the answer is no, stopping down (narrowing the aperture) probably wouldn’t have affected your DOF enough to be worth the bother. You can compare pixel sizes for different cameras at http://www.snapsort.com/compare . For example, here’s a comparison of a Canon DSLR compared to your camera: http://snapsort.com/compare/Canon-T3-vs-Panasonic_Lumix_DMC-FZ30/specs (Scroll down the page till you see “Pixel Size”. As you can see there, the pixel size for the Canon is more than 5x larger than your camera! Cambridge In Colour also has a calculator for calculating approximate diffraction limits for different cameras. If you set it to your camera’s sensor size, (“Digital Compact with 1/1.8″ sensor“), you can see that f/5.6 is the diffraction limited aperture for your camera. If you are taking James’s Online Training, you’ll learn more about how snapsort can help you choose a good camera, and how things like pixel size can affect your photograpy! I like the composition, although I think it would be better with a little less sky. I really like the leading lines created by the roadway! I think the effect might be even more dramatic if you had been closer to the road, placing it at a steeper angle in the photo, going from the bottom of the corner and leading a little more upward into the frame. This would be a great place to photograph during the “golden hour”, especially if there were a few colorful clouds! Isn’t it unfortunate that we can’t order colorful clouds when we want them? 🙂 I can also imagine this being a great scene at night! @buddingphotographer, thank you very much for the information. I did not know I could shoot landscapes with a wider aperture without affecting my DOF. I guess my camera can take pictures with almost the same quality as an SLR. Cambridge in Colour seems to be a good website for beginner photographers, especially in defining terms and explaining concepts. I did not know that the camera I use has actually appreciated. It cost $599 when it was purchased from Fry’s in 2005. Amazon sells it for $851+. @dan-cope, thank you for your comments. I need to confess that I did not know about the two-thirds rule at the time I took the picture. Unfortunately, I couldn’t get close to the road as I was on a hill overlooking the city. Perth’s sunsets are usually very beautiful, but I don’t think I would have been able to capture the buildings with the sun’s rays on them as the hill would have blocked the sun from reaching the buildings (I was probably facing north when I took the picture; the sun would have been on the other side of the hill). Since there were not many buildings present (Perth CBD is quite small), the cityscape at night may not have been well-lighted up as the skyline of Chicago or New York City. But that problem could be solved using Night Scenery Mode, i.e., long exposure. What a beautiful skyline! I think it to be so much fun that the cars are all going down the highway the “wrong” way 🙂 That would be quite the fun experience to visit Australia! But oh, on the photography side of things . . . In addition to what @buddingphotographer was saying, the fact that there is nothing in the frame that needs to be in focus up close (ie. a flower growing at your feet), then there’s not much difference that aperture would make, even with a DSLR. If you’re focused on something far away, your DOF is going to be much wider than if you were actually focused on something close. High aperture numbers like f/16 or higher are required when you want both foreground and background to be in focus at the same time. It would be interesting to see where Google Earth would calculate the sunlight to fall at golden hour. Do you have a GPS coordinate for the location you shot this photo? I’m glad you were able to take advantage of a beautiful skyline while visiting relatives. I think I take for granted sometimes the opportunities that I have here in America to take pictures of the world famous skylines like Chicago and New York City. Ditto, thanks for bringing that out @jamesstaddon! Just for the record, if CambridgeinColour’s DOF calculator can be believed, you can focus as close as 2 meters/yards (at just f/4) and still achieve focus all the way out to infinity! So, by stopping down to your maximum of f/11, you can focus as close as .7 meters, and still get everything in focus! Keep in mind that these are theoretical numbers under optimum conditions. Obviously at f/11 the diffraction will be creating more problems than it’s solving. @jamesstaddon, unfortunately, I did not have a GPS with me to record the GPS coordinates. However, I can give you the name of the place from which I took the picture. It was taken at the State War Memorial in King’s Park and Botanic Garden. You can find its location here: https://www.google.com.au/maps/place/State+War+Memorial/@-31.9609293,115.8446407,21z/data=!4m2!3m1!1s0x0000000000000000:0xaee797cad7b65d61. 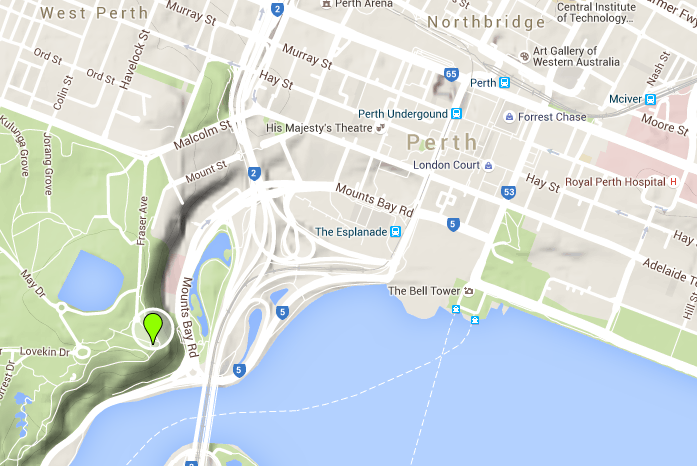 Here’s the link to the park’s location: https://www.google.com.au/maps/place/Kings+Park+and+Botanic+Garden/@-31.9609106,115.8300042,17z/data=!3m1!4b1!4m2!3m1!1s0x2a32a525098d1f2f:0xec4a7b90626730e7. Very interesting! 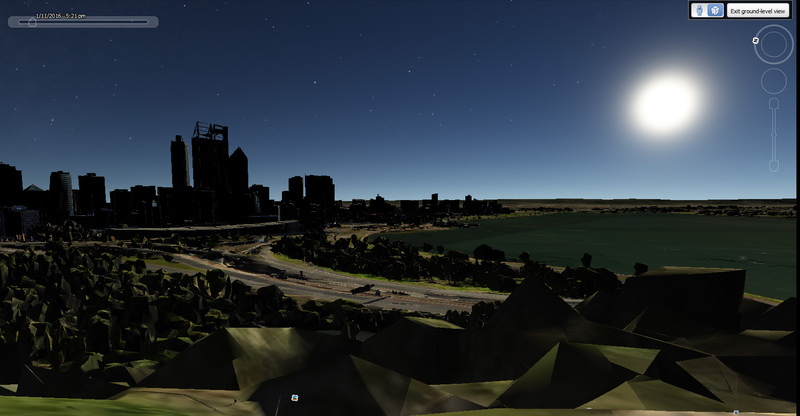 Because I love to explore so much, I plugged your location into Google Earth just for fun, to see what the light might be like at the golden hours, sunrise or sunset. The sun would rise and be visible close to the horizon, making for excellent golden hour light! Problem is, because the skyline is more or less facing in a north/south direction, the buildings would be in shadow. Depending on the clouds, this might make for a great silhouette shot right at the break of dawn. 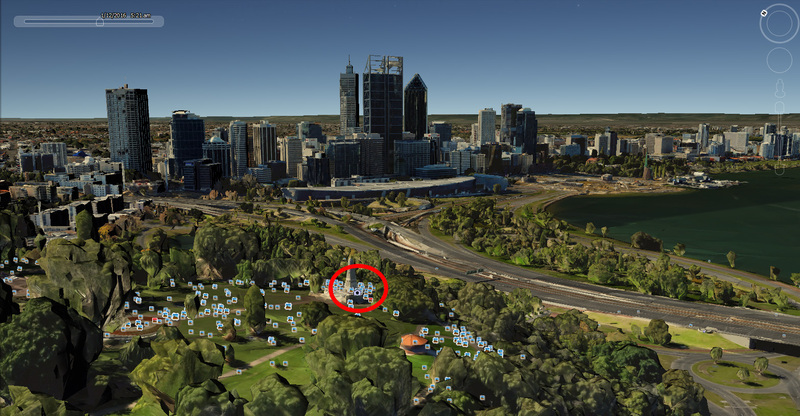 The first picture you’ve enclosed is a bird’s eye view of King’s Park and the city. Such a picture can only be taken from a helicopter or aeroplane. The buildings in the second picture look really underexposed. 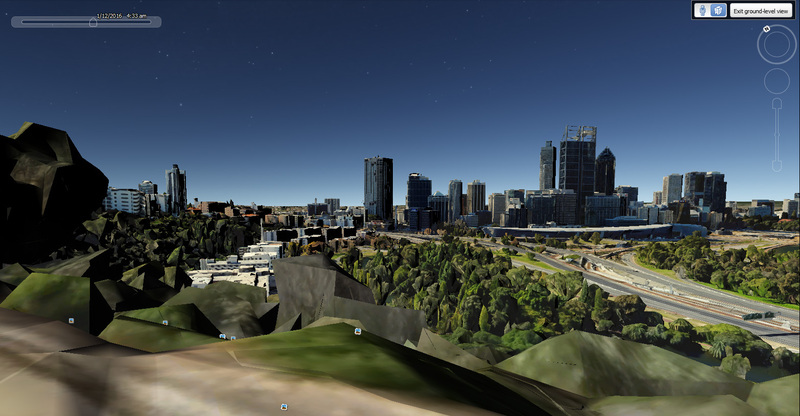 Google Earth seems to present the cityscape in ideal conditions. So, the actual skyline during golden hours of sunrise and sunset may not match those in the pictures you’ve enclosed. A friend of mine who is an amateur photographer told me that values of numbers in photography are opposite of what they actually are. For example, 16 in f/16 is a smaller number than 2.8 in f/2.8. In other words, as the number increases, in photography the number “decreases” in value. With regards to taking pictures during the golden hour, will a picture of a coastal sunset (such as the one I’ve enclosed) be classified as a picture taken during the golden hour? The golden hour or “magic hour” as it is sometimes called, refers to the time period just before sunset or just after sunrise during which the light from the sun is softer and more “golden”. So yes, the picture you’ve attached of the coastal sunset would have definitely been taken during the golden hour. As it relates to a cityscape, here is an example of how the golden hour can transform a scene and make it much more dynamic: https://commons.wikimedia.org/wiki/File:Bangkok_skytrain_sunset.jpg#/media/File:Bangkok_skytrain_sunset.jpg. Notice how the buildings “glow” in the golden light and also the color in the sky that is produced by the clouds as they reflect the colors of the setting sun. Your friends assessment on values of numbers is a neat observation! In general, it’s true depending on what exactly you’re talking about. With aperture, you’re right, because you’re technically dealing with fractions: like, 1/4in (quarter inch) is longer than 1/16in (sixteenth inch), even though a higher number is written as part of the fraction to express the shorter measurement. The assessment doesn’t cover all aspects of photography, though, as is easy to see that measurements “make sense” for, say, the filters you screw on the end of your lens: a 52mm size filter is indeed smaller than a 77mm size filter. This reply was modified 3 years, 3 months ago by James Staddon. Thank you very much for the comments regarding the sunset picture. 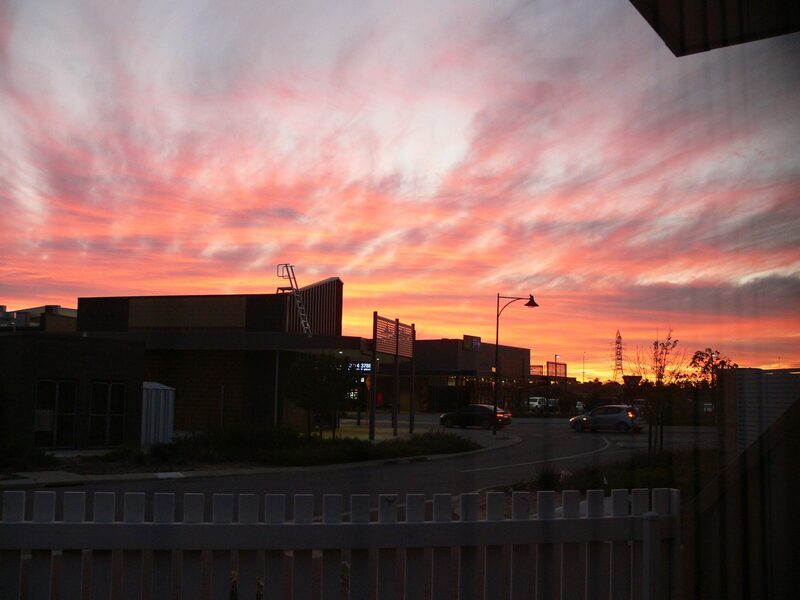 Over here in Perth, we get a lot of beautiful sunsets during the golden hour. Yes, often the colour in the sky is produced by the clouds as they reflect the colours of the setting sun. As my home is blocked by a nearby shopping centre, I am not able to see a full sunset. 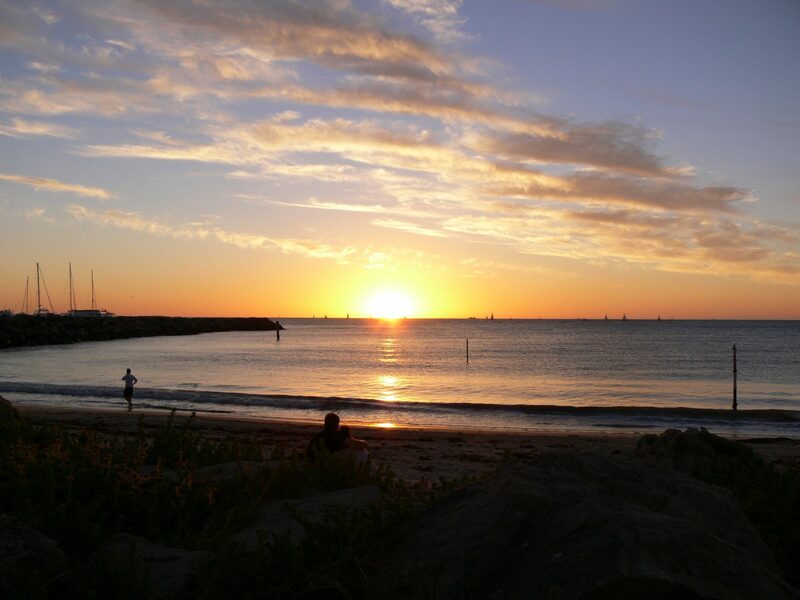 However, beautiful sunsets can be seen on the coasts of Cottesloe, Swanbourne, and Fremantle (such as in the picture I posted on the 13th of January). I have enclosed another picture of a sunset, this time from my parents’ bedroom window. It’s nice when all those distracting elements in the foreground are in silhouette. That’s a good thing to do with distractions. I wonder if when there is another spectacular sunset sometime, if you could get super low, and use that picket fence as a silhouette foreground element instead of the buildings . . . just a thought. Not sure how it would play out but it might be worth a try! By the way, one of these day’s we’ll have to create our own crowdsourced Landscape Locations Map AUSTRALIA!